Every businessperson, most probably, is aware of the constantly increasing fierceness in the competition, which consequently has led him/her to act even more sincerely than ever before to acquire a better sought-after position in the industry. After all, every businessperson has the intent to acquire new customers and maintain the existing ones at the same time. To achieve the goal successfully, it is important that you should choose the right marketing tactic that can hook up a brand and its targeted audiences in a well-ordered and plain way. Also, in the cutthroat competitive market, only a few techniques and tools can be banked on to get the best results for your brand. At the crossroads, Bulk SMS Marketing has the power to act as the most effective medium to attract a maximum number of targeted audiences and to turn around the business sales. The most solid reason Why you must choose Bulk SMS marketing is that it directly connects you with your intended audiences and passes on your words to them in seconds. According to marketing channel experts, no other marking channel but Bulk SMS acts as the most responsive and fastest marketing channel in the telecommunications industry; Bulk SMS has 97% of reading rate and that too within a couple of minutes. Almost 50% of Bulk SMS campaigns generate the maximum ROI successfully, which is, in point of fact, higher than any other recognized marketing channels such as social media, email etc. With the help of short-codes, it will be easy for you to start a two-way communication and a campaign to generate leads, which can just be used to pass on any additional messages. Through bulk SMS services, promoting your websites, social media marketing pages is as easy as a walk in the park. You can spur your targeted audiences to follow your brand on different social media channels such as Facebook , Twitter , Pinterest etc. by simply specifying the desired link in the Bulk SMS marketing content. Bulk SMS campaign supports & enhances other mediums of marketing as well such as emails & social media etc. Bulk SMS Services act very effectively in acquiring the appropriate feedback from your existing customers. According to a research, it has become evident that, on an average, over 30 % customers give their response to surveys by way of Bulk SMS marketing. This will be instrumental in stepping up your services. Bulk SMS campaign is the most appropriate way to enhance engagement between a business and its customers. Start sending updates and news of every upcoming event of your brand; this will help your customers to keep them updated about your new releases, which will unswervingly have an effect on your sales. Moreover, brands can also make the most of Bulk SMS marketing for instant sales-related offers such as discounts, offer vouchers, promotions etc. Bulk SMS marketing is the most hassle-free, effective and fast way to get in touch with your targeted audiences, promote offers, services etc. 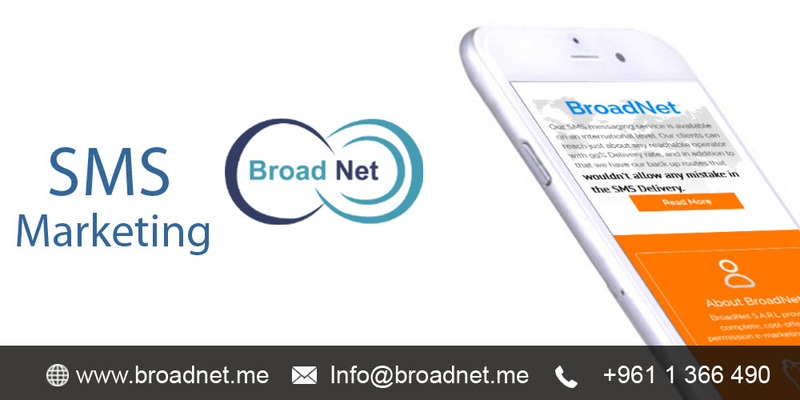 To make the most of the bulk SMS marketing at the most affordable price rate, choose BroadNet Technologies and see the wonderful results for yourself.